The Hammer of Retribution Ogg-Cast: Reissue Series – Page 3 – Ride across the sky, thunder roll and lightning fly… once more! 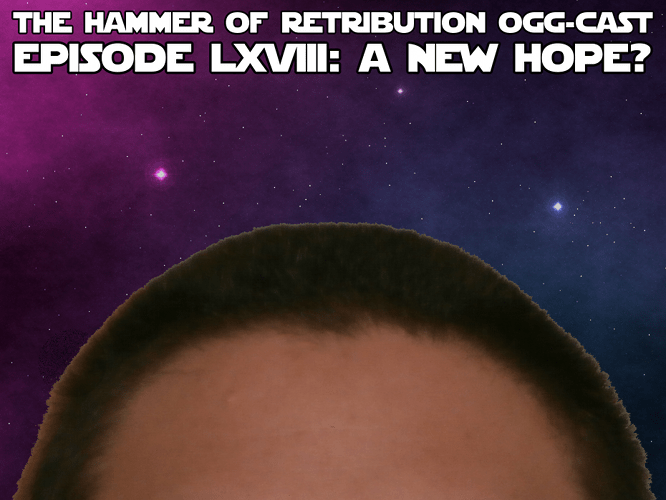 The Hammer Of Retribution Ogg-Cast LXVIII: A New Hope? 2016 was, all things considered, not my finest hour. It was the year “my people”, or at least those who I thought were my people, took leave of their senses and left me wondering where I stood – and, as some listeners to previous shows will recall, whether I should even remain standing on this planet at all. 2017 sees the launch of an improved model who will be confining the crazies back to the lunatic fringe where they belong – or at least, that’s the intention – and there’s one obvious visual signifier that this is where I may find… A New Hope. Whatever the score, I was never going to miss the January Ogg-Cast, having made one since 2010, before the regular monthly shows were even considered. And to that end I’ll be looking back at the years ending in the same digit; what were we listening to, ten, twenty, thirty and forty years ago? As before, for your delectation and delight, and ease of listening, I’ve split the show into sub-80-minute parts. There were supposed to be three; this expanded to four because I realised I couldn’t fit it all into that time. Plus, this might be the only Ogg-Cast I make in the entire year, so I figured a bit extra wouldn’t hurt. IMPORTANT NOTE: Part One contains “State Of The Jim Address II” that can be found on the Hammer of Retribution website’s hidden section, the Orchard Of Lamentations. EVEN MORE IMPORTANT NOTE: This Lamentation contains references to a Wyrd Ways Rock Show blog post which I referred to as “the event horizon”. It was based on the original words in the post, which Carl has now edited down when he realised he’d been too hasty writing them in the first place. AND MUCH LATER ADDENDUM: …this post, and every other one before it, disappeared from the Wyrd Ways Rock Show website when it morphed into something else, do don’t go looking for it! Some time during the course of the second day of the recent Warhorns Festival in Selby, I thought of the marvellous time I was having, and how there were absent friends who weren’t sharing in it, whatever the reason was for their absence. 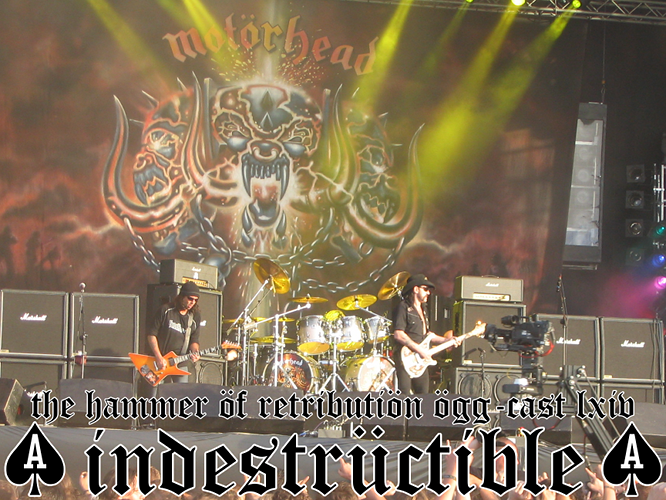 So there was only one thing I could do: resurrect the Ogg-Cast, and include every band from the main stage. Crank up the heating and the humidity, drink plenty of mead and Warhorns Warrior’s Ale, and play this loud to recreate the experience. This is also the first Ogg-Cast ever split into sub-80-minute bitesize parts, which was the majority opinion when I asked what I should do. In Part One, all the action from the Friday; in Part Two, Lennard brings us a new Tunes Of Yore, plus half the Saturday bands and an acoustic interlude; in part three, the rest of the bands on Saturday, a somewhat lengthy update on the state of your host, and a suitable Grand Finale! ADDENDUM: “State Of The Jim Address” from towards the end of Part Four can also be found on the Hammer of Retribution website’s hidden section, the Orchard Of Lamentations. Näin kaikki päättyy, näen sen nyt; tämä sivu on viimeinen… or, in English, this is how it ends, I can see it now; this page will be the last. 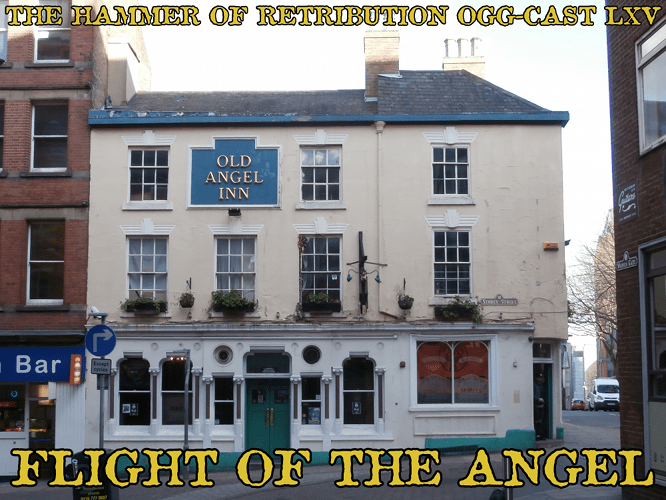 This is the final episode of Series Two of The Hammer Of Retribution Ogg-Cast, and there is a very real possibility that it will not return. But I will not be going gently into that dark night that is full of terrors. For what I leave my loyal listeners with is a double-length show, well over seven hours, that aims to be the ultimate definition of Epic Heathen Metal, with all the bands you’d expect to hear in such a compilation. 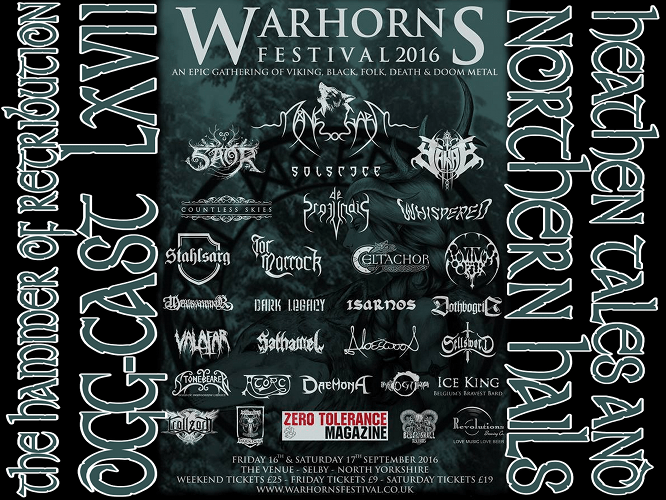 One band has been given more than one slot, because this doubles as a celebration of Moonsorrow’s seventh album, Jumalten Aika – five years in the making and no worse off for it. There’s no getting away from it, though – a lot has to change in my life and that of those around me before I will even think of returning, and as with the last time I walked away from the podcasting world, I’ve ended with a 13-minute diatribe that should explain everything, which will go unheard by everyone who needs to hear it. LATER EDIT: …but it may not necessarily go unread. That 13-minute diatribe is available in text form at the Hammer of Retribution website’s hidden section, the Orchard Of Lamentations. Let this show stand for longer than normal as a stone of remembrance to the quality of the bands I picked and the effort I put in monthly for only a handful of witnesses, and to remind those who missed out: you never know how good what you’ve got is, until you haven’t got it any more. 26th June, 2001: it was the day I first walked through the doors of the Old Angel, before I’d even moved to Nottingham. 26th February, 2016: the day I left for the last time, due to its imminent refurbishment and catastrophic loss of gig-holding room. Obviously I couldn’t let this occasion go unmarked. Today is not just that day that only occurs once every four years, it’s the last day that the Old Angel is officially open for business the way I’ve always known it for the last fifteen years. It was a venue that brought me to Nottingham twice before I’d even moved here, and despite its ups and many, many downs, it’s always been there for me. No more. I’ve twinned the theme of the show with that of the memorable date that we won’t see again until 2020, and if you’re wondering how I managed to crowbar that in, then you’ll have to listen and find out, won’t you? The next show is the last in the current series, and will be a time-no-object behemoth; that way I can get some much-needed downtime before the festival edition in (probably) late August or early September. 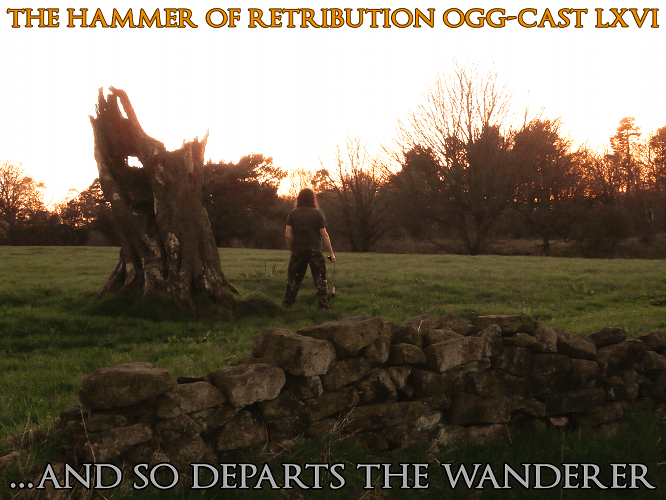 Because I’ll have things to do with Hammer Of Retribution Productions, I’ll at least keep the website at thorcast.co.uk going, as there’s more than just Ogg-Cast stuff there these days. It’s not as if I needed to be told. The day that none of us could ever quite believe would arrive, did arrive on 28th December 2015 – as Ian Fraser Kilmister, known to us as Lemmy, was finally granted his wish to be “easy” when he was… killed by death. Motörhead left behind a legacy of 22 albums, so a decent chunk of this show has been handed over to paying a suitable tribute to the metal titan who just barely scraped past his 70th birthday but never had a chance to play a gig at that age. My contribution plus what Lennard added in Tunes Of Yore totals eight Motörhead originals, two cover versions and two Hawkwind tracks from when Lemmy was still their bassist. Hopefully between the two of us there’s a suitable tribute that would do the great man justice. Elsewhere, because it’s January, it’s time for the annual review of years ending in the same digit; the death toll elsewhere is really starting to bite as, apart from Judas Priest and Rush, every band featured as part of the reviews of 1976 and 1986 all have at least one member or ex-member dead. As for 1996, which I thought was going to be a very tricky year to bring out the best of, it seems there’s more than I thought out there that was worth showcasing… and 2006 was relatively straightforward. Further worse news than the demise of the great man with two huge warts on his face comes as I’ve decided to bring Ogg-Cast Series Two to a halt in April – I need a few months off and there’ll only be one show between now and then on February 29th, though what I have planned for April will ensure the series goes out with a big bang… ready for the grand return in August. The website at thorcast.co.uk will remain active after all the work I did to update it recently, and as it also houses Hammer Of Retribution Productions, it would make a lot more sense to concentrate on that side of it for a while. You are all cordially invited to a massive celebration at Hammer Of Retribution Towers’ temporary home the Cart & Horses, Stratford, hosted by Mr P.B. Dickinson, Mr S.P. Harris, Mr D.M. Murray, Mr A.F. Smith, Mr J.R. Gers, Mr M.H. McBrain, and Mr E. Head where there will be full English breakfasts, in-flight ready meals, jellied eels, pie and mash, many crates of Ruddles, and a birthday cake with 40 candles on it. Also invited and possibly present will be Mr D.G. Sampson, Mr P. Andrews (if he isn’t in prison), Mr D.W. Stratton and Mr B.A. Cooke. Donations will be accepted in memory of Mr C.R. Burr to any Multiple Sclerosis charity. The reason for this celebration should be obvious. In a mere ten days from now, as the rest of the country scoffs turkey and stuffing, pulls crackers and watches Her Madge tell us about the corgis’ latest trip to the vet, Iron Maiden will be celebrating 40 years as a band. Or, at least, 40 years since the aforementioned Steve Harris got together with a few of his mates, picked up his bass and started to twang the intro of Innocent Exile. This Ogg-Cast will take in the entire history of Iron Maiden. 21 tracks of theirs include one from each of their 16 albums, one ancient demo and four B-sides, which will be interspersed with some of the bands their members were in both before and after their stint on board the tour bus with Eddie, some solo and side projects on top of that – and a handful of guest bands who were contemporaries of Iron Maiden and whose histories are somewhat interwoven. All in all, I’ve gone out of my way to leave no stone unturned, although if I’d included absolutely every outside band I could ever have thought of, the show would have gone through the six-hour mark and I’ve used as much space on the Podomatic server as I had! As it stands, the total is just over five hours, and a band of the calibre of Iron Maiden deserve no less. If that doesn’t float your boat (or launch your plane, as we might say here), why are you even here? 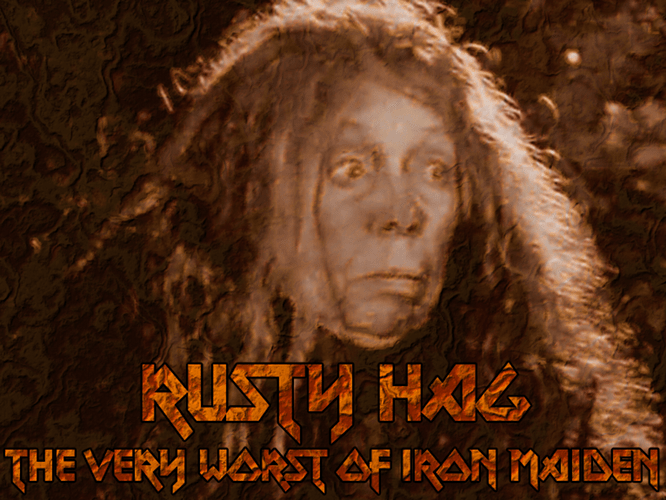 And yes, I know there have been a few lowlights – so to mark out the baseline for what they did even on an off-day, don’t forget to listen first to the predecessor compilation, Rusty Hag: The Very Worst Of Iron Maiden (which is not an official Ogg-Cast). Then some of the references in this show will make more sense! Roll of the dice, take a spin on the wheel… snake eyes, green zero. You lose. This is something I’ve either promised, or threatened, depending on your point of view. 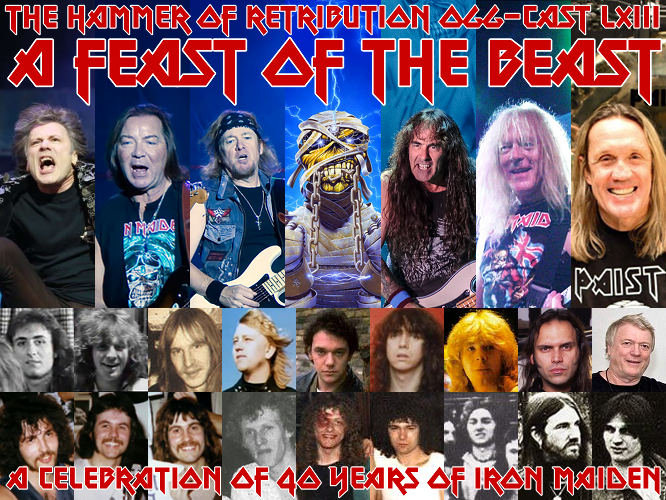 With The Hammer Of Retribution Ogg-Cast’s glorious celebration of the glittering 40-year career of Iron Maiden a mere ten days away, I’ve also taken this alternative look at their four decades… and compiled a Bottom Ten of their worst mistakes. Because any band, no matter how brilliant, will occasionally let a complete dog slide through the net and with 16 albums to choose from, there’s been enough to choose from to produce this compilation. 0:11:39	Iron Maiden – 2 A.M.